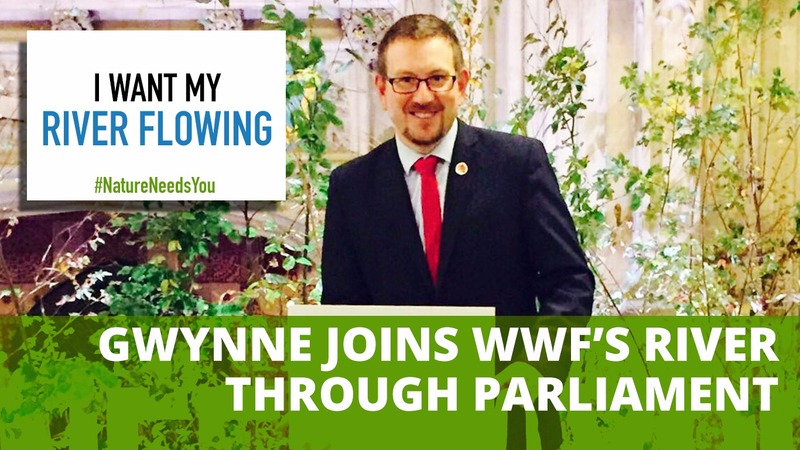 Denton and Reddish MP, Andrew Gwynne, has joined the wildlife charity WWF as part of their interactive display in Parliament celebrating the Great British Countryside and aims to put the environment right at the heart of the political debate. Last week Gwynne joined representatives of WWF as they opened their ‘A river runs through it’ exhibition. The spectacle included a river through the Upper Waiting Hall – a busy thoroughfare for Members of Parliament – and collaborative artwork by local children and artist Layla Andrews. The exhibit was part of a week of events that celebrate the UK’s unique rivers, asking politicians to support the restoration of our environment. The interactive exhibit brings nature inside Parliament to highlight the issues that English and Welsh water systems are facing, such as growing pollution from rural areas and sewage run off. This is following the recent WWF report, Flushed Away, that found 80% of rivers in England and Wales are unhealthy, and up to 40% are polluted with sewage. “Rivers and lakes are hugely important to a community both for their environmental and natural significance. “Despite big improvements over recent decades, four out of five rivers in England and Wales are failing to reach the required health standards. This is a result of pollution from farms and sewage, and unsustainable abstraction.